HOW DO WE KNOW THE BIBLE IS TRUE? But Paul responds here. Remember last time, we talked about the different “false gospels” that we encounter from time to time. Now, Paul talks about the source of the true gospel. I have friends who think the New Testament was made up by people who wanted to gain power through religion. Now, I’ve covered this in the past, but I suppose it’s possible that some of you have forgotten, and also that others never did hear this. Paul felt that it was important for the Galatians to understand that the message about Jesus came from God, not from human beings. I think it is important for us to understand the same thing. So, the gospel we believe comes from the New Testament. Where did that come from? Historians can determine the date of ancient documents through a variety of methods. They can look at the writing materials that were used, and compare them to materials used at known dates and places. They can study the language, and compare it to various time periods to see if it is similar (or not) to other writings in various eras. They can check some historical references with other documents, and against the discoveries of archaeology. When more than one copy of an ancient document is discovered, scholars compare the various copies. If all the copies say the same thing, scholars conclude that they have accurately preserved what was originally written. Where copies vary, scholars consider which copies are older, and how many copies say the same thing, and how many contain the variant. This way, they can reasonable determine what the original said, even when they don’t have the original to study. A book called Gallic Wars was supposed to have been written sometime around 50 B.C., dictated by Julius Caesar to a scribe. Historians believe that this book is what it claims to be, and was written in the time of Caesar. Even so, the oldest actual manuscript they have of this book is a copy of a copy (and so on) that was actually made 1,000 years after Caesar. The idea is, the book was made, and then as it fell into disrepair, new copies were made, and as those copies got older, new copies were made of the first copies, and so on. They have discovered ten ancient copies of Gallic Wars, with the oldest one, as I said, 1,000 years later than the original. This is considered an excellent historical document for that period in history (which is very close to the New Testament). Another ancient book is Annals by Tacitus. This too, is considered an excellent source, written around 100 AD (or CE, if you prefer). Today, twenty ancient texts of Tacitus’ writing exist. The oldest is a copy that was made in 1100 AD – 1000 years after Tacitus wrote the original. With regard to Annals, no historian seriously disputes that they were indeed written by Tacitus. Most also accept that what Tacitus wrote has been accurately preserved. How do these excellent sources compare to the New Testament? A fragment of parchment containing part of the book of John has been discovered. This piece is believed to be either part of the original written by the apostle himself, or a copy that was made within forty years. A fragment of Matthew has been discovered that most scholars believe was part of the very parchment written by Matthew himself. Other fragments, and even whole books of New Testament, date from within a hundred years of the time of the apostles. The oldest complete copy of the New Testament is about 150 years removed from the time of the apostles. This is far, far better than any other ancient document that exists. 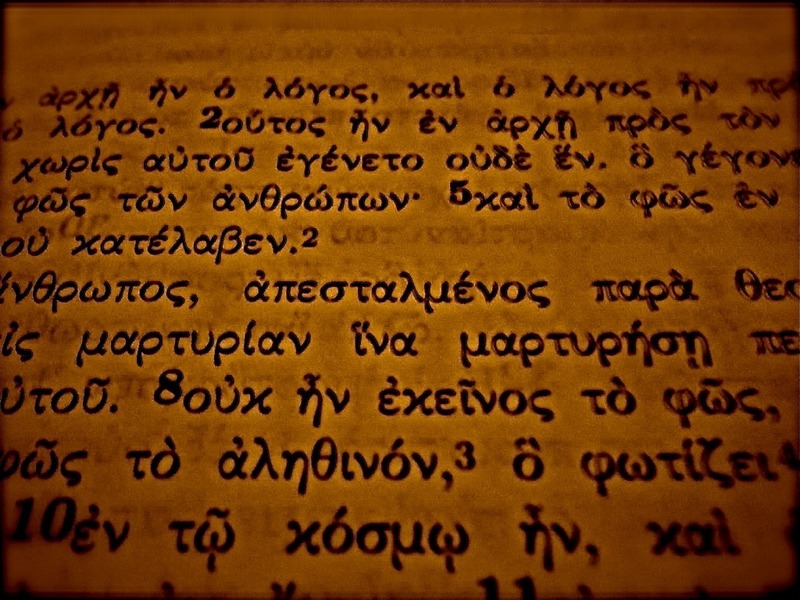 Compared to twenty ancient copies of Tacitus, or ten of Julius Caesar, scholars have discovered roughly 5,500 very ancient copies of the New Testament in Greek (the original language), and an additional 19,000 ancient copies in other languages like Syrian, Latin and Coptic. For hundreds of years, scholars have been comparing these manuscripts to one another. 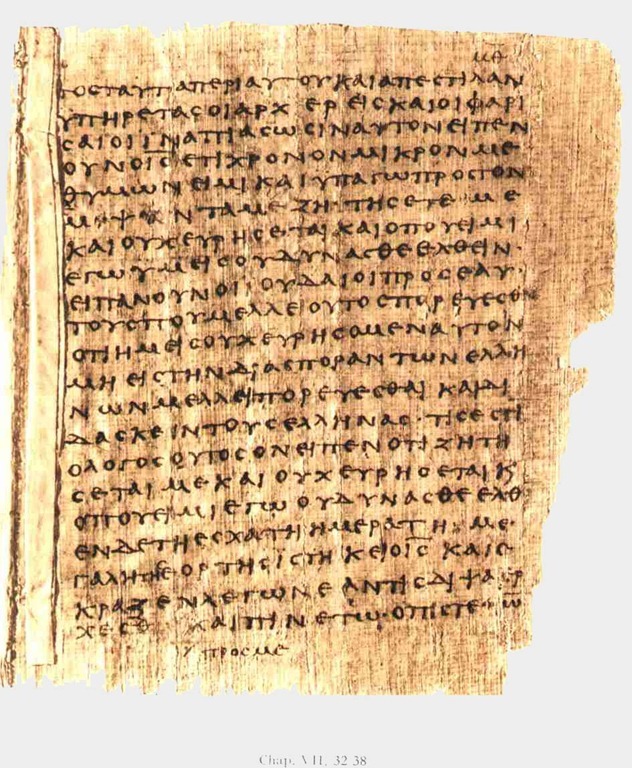 If all or most of the texts show that John wrote “Jesus wept,” than we can be pretty darn sure that John did in fact write, “Jesus wept.” In addition to all these actual copies of the New Testament, we have extensive quotations of the books of the New Testament contained in letters and writings from early Christians, dating from the time of the apostles and on. In Luke 23:42, Luke writes that the thief on the cross said, “Jesus remember me when you come into your kingdom.” The NIV version of the bible makes a footnote there is enough evidence to note a variant manuscript reading. The variant would read like this: “Jesus remember me when you come with your kingly power.” You may say: “What’s the big deal with that? What does it change? Doesn’t it mean the same thing?” That, of course, is the point. It changes nothing significant. Nor do any of the “significant” variants. If you have an NIV Bible you can scan the bottom of the text as you flip through the pages and see all the significant variants. Because of the great number of copies which all record the same words, and because they are so ancient, we can be quite sure that the New Testament we read today is the truly and accurately preserved teaching of the apostles of Jesus Christ. Every year around Easter, the National Geographic society trots out a documentary or story about the “lost gospels” or the “books that should have been included in the bible.” It’s true that there are a few ancient documents about Jesus that are not included in the New Testament. But there are huge differences between them and the New Testament. We know historically that by around 250 AD at the latest, virtually all Christians were using the twenty-seven books that make up our present day New Testament. The New Testament was not officially defined by a conference of Churches until sometime in the mid 300’s AD, but for all intents and purposes it was well established even earlier than that. There were several things that caused a book to be included in the New Testament. 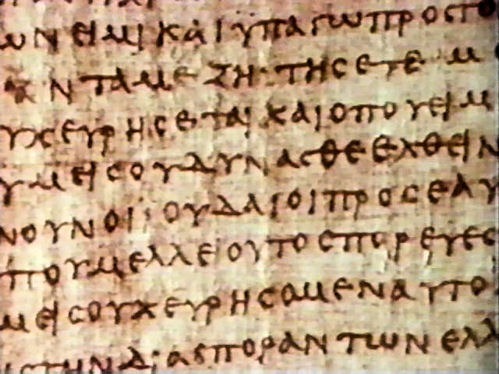 The New Testament book had to be connected to an apostle (either written by an apostle, as in the case of Paul’s letters, or written by someone who associated closely with one or more apostles, as in the case of Luke and Mark). So the ancient book, The Apocalypse of Peter, though it names an apostle in the title, was never recognized in any early writing, or by any other evidence, as having anything to do with the real historical Peter. Needless to say, it isn’t in the bible. The New Testament writings had to agree with generally accepted Christian doctrine. In the 140s AD, a man named Marcion came up with his own very twisted version of Christianity and listed various writings which he thought should be considered sacred. He and his “New Testament” were rejected by almost all churches, because they were contrary to the teachings that the churches had held since the time of the apostles. The Holy Spirit inspired and guided those who wrote down the gospel. And the Spirit guided the process by which these writings were either preserved, or not preserved. We know that there was a third letter which Paul wrote to the Corinthians, which is lost to history. The Holy Spirit caused that happen – that letter was not part of what the Spirit wanted preserved. We have the written words of the true gospel in the form of the New Testament. And we also have the Holy Spirit, given to us through Jesus, who continues to remind us what Jesus said, and guides us to receive and understand the truth of God’s Word. It doesn’t come from human beings who made it up for their own purposes. If you are a Christian for any length of time, sooner or later you’ll probably have a thought like this: “What if this is all made up? What if none of it is real?” Don’t feel bad about having those thoughts. Instead, remember this: It is entirely reasonable to believe that the New Testament is the unaltered teaching of those who knew Jesus, whom Jesus chose as his apostles. All the evidence says so. It is reasonable to believe that that they believed what they wrote, since most of them gave their lives for that belief (incidentally, they didn’t get power or wealth out of it). But it does require faith to believe that their writings are true, and inspired by the Holy Spirit. It requires faith to believe that Spirit continues to speak through the New Testament today. That faith means we risk being foolish. It means we risk believing something that isn’t true – that risk is the nature of faith. But when we embrace that faith, the Holy Spirit makes these words real and relevant in our lives today. The true gospel, not made by human beings, can speak directly to your heart and to your attitudes. It can convict you of sin, comfort you with grace and lead you closer to the true and living God. It can and will change your life eternally. Some of you may know that in addition to Bible teaching, I write books; both mystery novels, and books about the Bible. 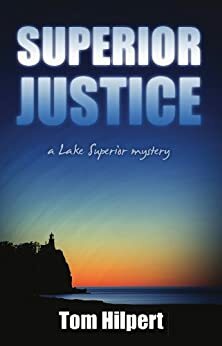 Click on the link above, or select "Books by Tom Hilpert" at the top of this page to learn more.